THIS IS WHAT THE REAL FUKUSHIMA AND LARGE SURROUNDING AREA IS LIKE. Ken 26 June 18 Only is it much much worse and, more insidious. There are multiple deadly cesium 137 like rdionuclides in Northern Japan. There are thousands of times more life extinguishing radionuclides as evil and potent as the 19 gms of cesium137 in brazil, that destroyed a community and several generations of families. It is in the water, the soil, the food, the air, the people, their houses, the animals, the plants, their cars. It is everywhere.in Japan. On September 13, 1987, Brazilian scrap metal dealer, Devair Ferreira, unwittingly opened Pandora’s box. Out spilled a bright blue crystalline powder that fell glowing to the floor. Fascinated by the magical iridescence, Ferreira invited family members to his home to see the mysterious substance for themselves. They were entranced. They touched it and passed it around to other friends and relatives. What none of them knew was that they had just set in motion Latin America’s worst nuclear accident. The blue powder was cesium chloride, encased inside a cesium-137 teletherapy unit that had been left behind in an abandoned cancer treatment hospital in the City of Goiânia, the capital of the State of Goiás. Two jobless youngsters had picked it up, pulled out the heavy lead cylinder containing 19 grams of cesium-137, and sold it to Ferreira. Ferreira, and his friends and family, soon became sick. His brother Ivo took some of the powder to his house where his six-year old daughter Leide played with the glowing radioactive crystals on the floor just before dinner. When she ate boiled eggs with her contaminated fingers, the deadly cesium-137 entered her body. 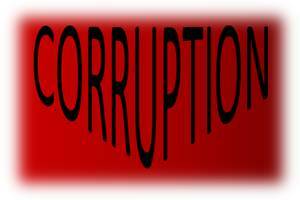 Twenty two Ferreira family members had direct contact with the cesium-137. But they unwittingly went on to contaminate others. At least 40 people were hospitalized, and by October 28 four had died. They were Ivo’s daughter Leide and Devair Ferreira’s wife Gabriela — who had first sounded the alarm about the sudden mysterious sicknesses in her extended family — along with two of Devair’s employees. All of those affected were at first treated at the local hospital like regular patients and were allowed to circulate freely through the city, contaminating others they met, as well as the doctors and nurses who cared for them. For 16 days, no one knew that the cause of their sickness was radiation exposure. When it finally came to light, Brazil’s National Nuclear Energy Commission sent a team to Goiânia, to quarantine and isolate those contaminated and to start the clean-up. A total of 112,800 people remained isolated in the Olympic Stadium of Goiânia until December 1987, and were examined there for radiation by the CNEN. 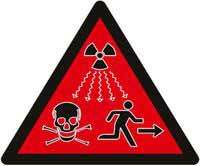 Radiation technicians ultimately registered a total of 249 contaminated people, 129 of them with cesium-137 in their body, a man-made isotope produced in nuclear reactors that, when ingested, binds with muscle and irradiates people internally. According to the government of Goiás and the International Atomic Energy Agency (IAEA), Goiânia’s cesium-137 accident claimed only four lives, but the Goiás Public Prosecutor’s Office and the Association of Cesium Victims (AVCesio) say that at least 1,400 people were contaminated and that 66 have died as of 2017. The investigation was conducted during the postdoctoral research of Angela Kinoshita, currently a professor at Universidade do Sagrado Coração in Bauru, São Paulo State. Her supervisor was then Oswaldo Baffa, Full Professor at the University of São Paulo’s Ribeirão Preto School of Philosophy, Science & Letters (FFCLRP-USP). “We used a technique known as electron spin resonance spectroscopy to perform retrospective dosimetry. Currently, there’s renewed interest in this kind of methodology due to the risk of terrorist attacks in countries like the United States,” Baffa said. In the 1970s, when he was teaching at the University of São Paulo’s São Carlos Physics Institute (IFSC-USP), Mascarenhas discovered that X-ray and gamma-ray irradiation made human bones weakly magnetic. The phenomenon, known as paramagnetism, occurs because the hydroxyapatite (crystalline calcium phosphate) in the mineral portion of bone tissue absorbs carbon dioxide ions, and when the sample is irradiated, the CO2 loses electrons and becomes CO2-. This free radical serves as a marker of the radiation dose received by the material. “I discovered that we could use this property to perform radiation dosimetry and began using the method in archeological dating,” Mascarenhas recalled. His aim at the time was to calculate the age of bones found in sambaquis (middens created by Brazil’s original inhabitants as mounds of shellfish debris, skeletons of prehistoric animals, human bones, stone or bone utensils, and other refuse) based on the natural radiation absorbed over centuries via contact with elements such as thorium that are present in the sand on the seashore. Mascarenhas succeeded in demonstrating that a dosimetric signal could be obtained from the sample even though the technology was still rudimentary and there were no computers to help process the results. The research was presented at the American Physical Society’s annual March Meeting, where it made a strong impression. Mascarenhas brought the samples to Brazil, where they remain. Thanks to this combination of techniques, they were able to measure a dose of approximately 9.46 grays (Gy), which is high in Baffa’s view. “About half that dose, or 5 Gy, is fatal if the entire body is exposed to it,” he said. The value was comparable with the doses obtained by other techniques applied to non-biological samples, such as measurement of the luminescence of quartz grains present in brick and roof tile fragments found at the bomb sites. According to the authors, it was also close to the results of biological measurement techniques applied in long-term studies using alterations in survivors’ DNA as a parameter. “The measurement we obtained in this latest study is more reliable and up to date than the preliminary finding, but I’m currently evaluating a methodology that’s about a thousand times more sensitive than spin resonance. We’ll have news in a few months,” Mascarenhas predicted. When Carlos Nobre, one of Brazil’s leading climatologists, lived in Manaus in the 1970s, the population was a few hundred thousand and the highest temperature ever recorded in the city had been 33.5C. The city was surrounded by cool, dense forest and the greatest river on Earth. Heat waves were rare and floods regular but manageable. Today Manaus has more than 2 million people, and it and the wider Amazon region are changing fast. In 2015, Nobre says, the temperature in Manaus soared to 38.8C. “The Amazon is tropical and very hot, but when I lived there the hot spells were rare,” he says. “Now we see many more of them.” Not only that, he says, but dry seasons are longer by a week than they were a decade ago and weather is more erratic. Hot spells in such a humid climate are a real hazard to health. Yet adaptation to climate change in a teeming, poor city like Manaus is non-existent for the many people who must struggle just to survive. For the middle classes, air conditioning is now essential. The most city authorities can do is plant trees to cool the streets and protect the river banks from flooding. Perhaps most ominous is the fact that a positive feedback loop appears to be in play. As the Amazon dries, Nobre says, tropical forest will gradually shift to savanna, releasing carbon dioxide into the atmosphere and further adding to global warming. For three months, from September to December 2015, Manaus was engulfed in smoke, resembling Beijing. That was an unusual scene, and an undeniable sign that predatory exploration in the Brazilian Amazon has not yet been properly tackled. The sharp decrease in the annual rates of forest loss in the Brazilian Amazon is celebrated worldwide. The trend started in 2005 after a peak in deforestation the year before. However, the figures are not so bright when it comes to forest fires, and few people are talking about that. Natural factors alone fail to explain this recent increase, as similar climatic conditions in the past were not associated with the same amount of forest fires. 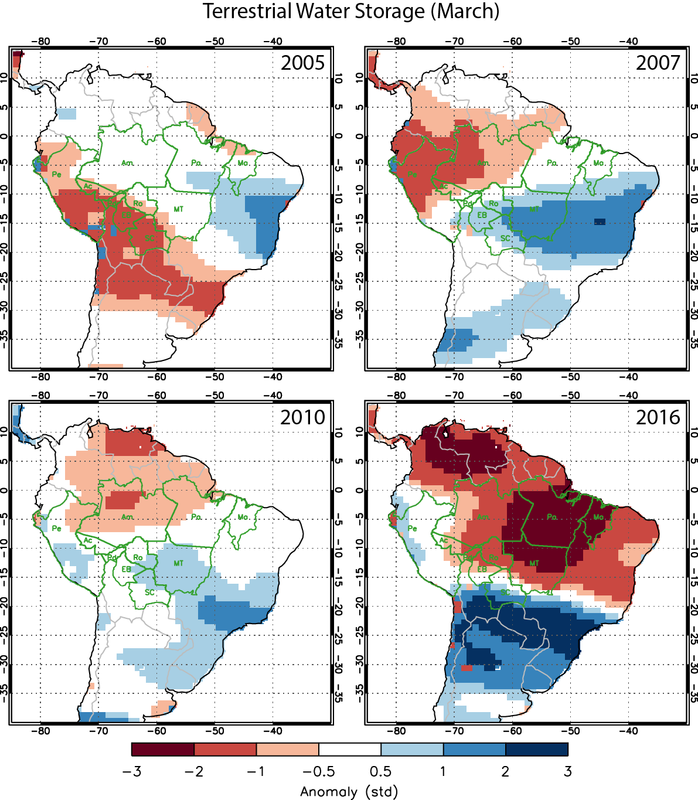 Forest fires and precipitation are strongly correlated in the Brazilian Amazon; in dry years, more forest fires occur. 2015 was a dry year, but not as dry as 2010 or 2005 were – years when the region faced anomalous droughts. Nevertheless, in 2015, forest fires increased 115.6 percent and 105.5 percent compared to 2005 and 2010, respectively. Hence it is safe to say that the peak observed last year was strongly associated with unregulated anthropogenic activities in the forest. In the region, using fire in order to clear large areas is a common practice. The expansion of roads, settlements, croplands and cattle ranches has been leading fires to reach ever-wider areas of the forest. Why we should all worry about the Amazon catching on fire this year, WP, By Chris Mooney July 12 When you Google “Amazon fires,” the first thing you encounter is a tablet device. But in the coming months, if scientific forecasts prove correct, that may change. Researchers are increasingly concerned that the Amazon rain forest — the world’s largest tropical forest, a huge repository of carbon and a vital cycler of water into rainfall across much of South America — will soon burn in a way that has not been seen in many years. The reason is the lingering effect of the recent El Nino event. Forecasts from NASA and the University of California-Irvine, and from the International Research Institute for Climate and Society suggest that because of how El Nino reduced precipitation in the region earlier this year, the Amazon is far drier than usual, and primed to burn once the dry season reaches its height this summer (the fire season runs from June through November with a September peak). According to the NASA/U.C. Irvine forecast, the Amazon is currently “far drier than 2005 and 2010 — the last years when the region experienced drought.” The years 2005 and 2010 also saw major blazes in the Amazon. Indeed, the NASA/U.C. Irvine researchers shared data suggesting that the storage of water in the Amazon in March of 2016, as measured by NASA’s twin GRACE satellites (which detect gravitational anomalies at the Earth’s surface), is far lower now than it was in March during these prior years. “We have the possibility of killing hundreds of thousands of trees in the Amazon in 2016, if you let these fires start,” says Paulo Brando, an Amazon fire expert at the Woods Hole Research Center and Ipam (the Amazon Environmental Research Institute). If these forecasts are verified, there will be a great deal at stake. It isn’t just that huge, dangerous clouds of smoke could reach major urban areas ranging from Manaus to Rio. It’s that the fires risk helping to tip the Amazon into a new state that scientists fear — one in which it will be drier, store less carbon, cycle less water and generate less rainfall. It is important to note that so far, what we are looking at are bad fire forecasts for this summer in the Amazon — but not a catastrophe at this point. The forecasts may not be realized. (That happens!) And the forecasts could also drive at least some action in Brazil and other Amazon countries to take steps to prevent people from starting fires, blunting the potential consequences of drought. Using the wrong metricEcological footprint (ecofootprint), according to WWF Global, is connected to the impact of human activities, measured according to the production area and the amount of water needed to produce goods and assimilate the waste produced. Free energy, not free coolingThe concept of free energy emerges as an alternative to free cooling, on the grounds that it is more suitable to the Brazilian reality and to other countries with similar weather. It is related to power generation using any renewable energy source that has been obtained directly from nature through an environmentally sustainable process. This solution, as well as free cooling, aims to improve data center effectiveness and reduce the ecofootprint from data centers in general. Because of the distributed generation and the ability of interaction between the minigeneration and the energy provider, free energy has become a feasible concept.
. A combination of existing technology and techniques, along with new government legislation in Brazil, are now in place, so significant improvements have already been achieved. As an alternative to free cooling, the use of photovoltaics is increasingly being seen as a viable option in countries with a high solar radiation index – like Brazil – where renewable energy can be obtained for free from the natural resources available on the planet. Turbulent Times for Brazil’s Nuclear Projects, Carnegie Foundation, TOGZHAN KASSENOVA October 29, 2015 “……….Othon was at the heart of Brazil’s nuclear program during the military government that lasted until 1985, and he remained indispensable for the decades that followed. In 2005, he became the chief executive of Eletronuclear, an operator of nuclear power plants and a subsidiary of Eletrobras, a state-controlled power company. Eletronuclear operates Brazil’s two nuclear power plants—Angra 1 and Angra 2—and is building a third plant in the picturesque region of Angra dos Reis, not far from Rio de Janeiro. Work on Angra 3 began in 1984. But after two years and the amassing of 70 percent of the equipment at the site, construction was suspended. Only after twenty-four years, in 2010, did construction resume on Angra 3. The corruption charges against Othon stemmed from the construction of Angra 3. It was while he headed Eletronuclear that Othon was accused of receiving bribes from companies vying for Eletronuclear’s contracts. He was arrested on July 28 as part of an operation called Radioactivity, the sixteenth stage in Operation Car Wash.
Othon is currently accused of receiving 4.8 million Brazilian reais (or approximately $1.2 million) in bribes through Aratec Engenharia, a company he owned. Brazilian media report that Othon’s company accepted payments for the development of turbines that generate electricity using river flow. Othon’s arrest is not the only nuclear dimension of Brazil’s corruption scandal. Marcelo Odebrecht, whose eponymous company is Brazil’s largest construction conglomerate, was arrested on corruption charges in June. His company is accused of paying bribes to Petrobras executives to gain lucrative contracts, overcharging Petrobras for construction projects, and siphoning off illegal profits to politicians who, in turn, facilitated the conglomerate’s operations. Odebrecht is one of the largest companies in South America. With operations in 21 countries and a workforce of 168,000, the equivalent of the population of a medium-sized U.S. city, it has been involved in major infrastructure projects in places as diverse as Saudi Arabia and Angola. Odebrecht is the main contractor for Brazil’s nuclear submarine program. In 2009, when Brazil and France signed a cooperation agreement to build five submarines—four conventional and one nuclear—together, Odebrecht received a contract worth $1.9 billion to construct a new naval shipyard in Itaguaí. In 2013, Brazil’s then president Dilma Rousseff attended the shipyard’s inauguration ceremony. With Odebrecht’s CEO under arrest, the immediate future of the company is uncertain. Funding was pouring steadily into the nuclear submarine program. Since 2009, Brazil has spent $3.2 billion to build a submarine shipyard and a naval base. Brazil’s leaders promoted the program as one that would once again prove Brazil’s technological might—just as Embraer planes did decades earlier. In 2010, construction of the Angra 3 nuclear power plant resumed, and while the government never touted nuclear energy as its priority, commitments were made to build up to four to eight new nuclear power plants. Five years later, a very different Brazil has emerged. Foreign policy, let alone nuclear diplomacy, has decreased significantly on the ladder of Brazilian government priorities. Unlike Lula, President Dilma from the very beginning was less inclined to invest in an active foreign policy. Now she is too preoccupied with domestic problems to spend time on diplomacy. With her approval ratings hovering at 8 percent, foreign policy is unlikely to become a priority for the current government in the near future. The possibility that the government will actively pay attention to matters of global nuclear politics is even less likely.